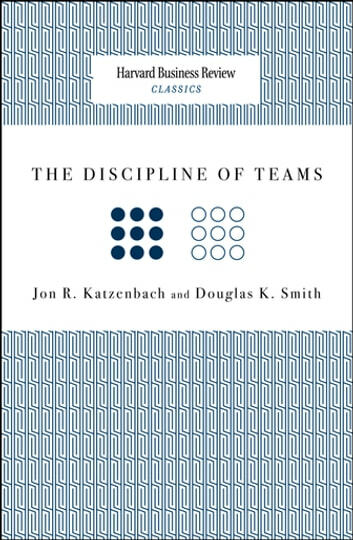 In The Discipline of Teams, Jon Katzenbach and Douglas Smith explore the often counter-intuitive features that make up high-performing teams—such as selecting team members for skill, not compatibility—and explain how managers can set specific goals to foster team development. The result is improved productivity and teams that can be counted on to deliver more than just the sum of their parts. Since 1922, Harvard Business Review has been a leading source of breakthrough ideas in management practice. The Harvard Business Review Classics series now offers you the opportunity to make these seminal pieces a part of your permanent management library. 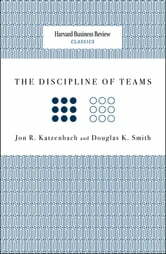 Each highly readable volume contains a groundbreaking idea that continues to shape best practices and inspire countless managers around the world.